For her solo show at 1.1, Geneva-based artist Camille Kaiser presents the initial findings of ongoing research departing from the act of cell phone charging in public. 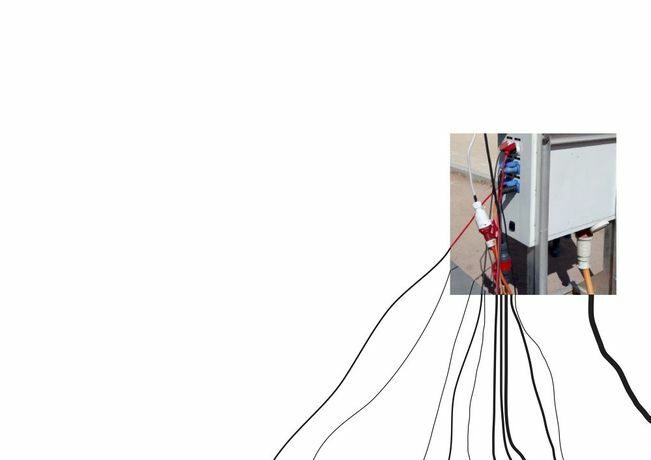 Her photographic and textual works are inspired by the subversive, essential use of free access generators and power outlets in Switzerland’s urban public sphere. Recalling second hand electronics, the installation speculates on guerrilla techniques, social contingency, and innovation concerning technology as a first class privilege.